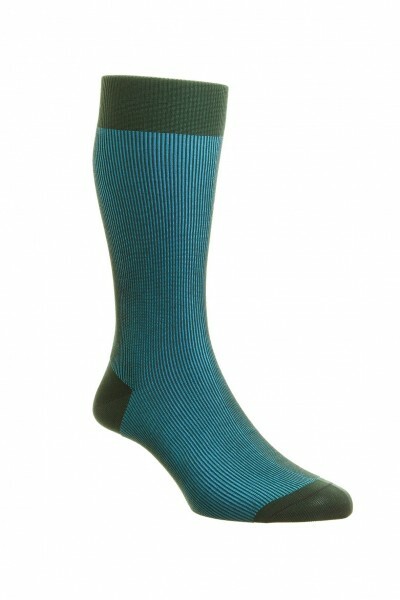 Mens cotton socks by Pantherella, style Santos. 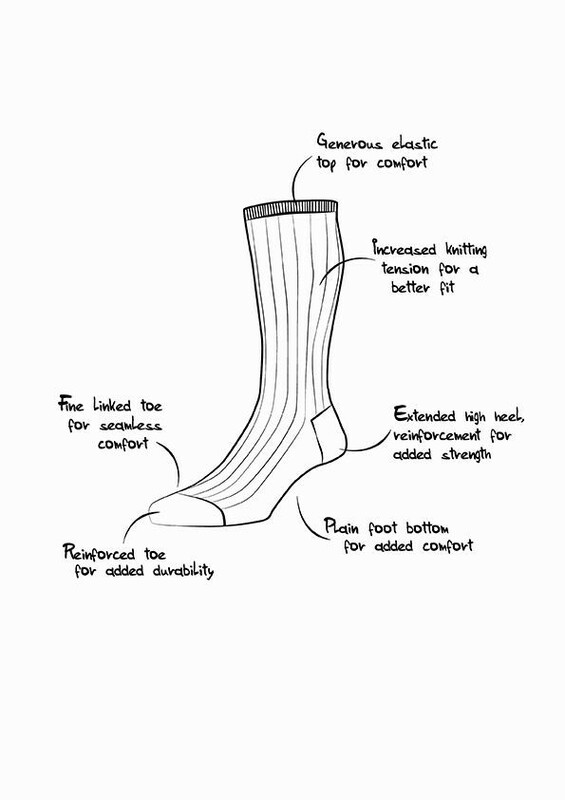 Mens quality socks in a modern design with a seamless toe for added comfort. Made from Egyptian cotton that is mercerised, the fibres are silky soft and smooth in a fine rib of contrasting green and turquoise.